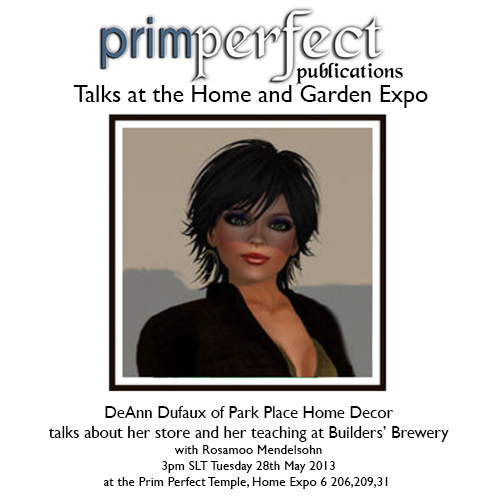 Prim Perfect Talks at the Home and Garden Expo: Park Place and Bellarose! 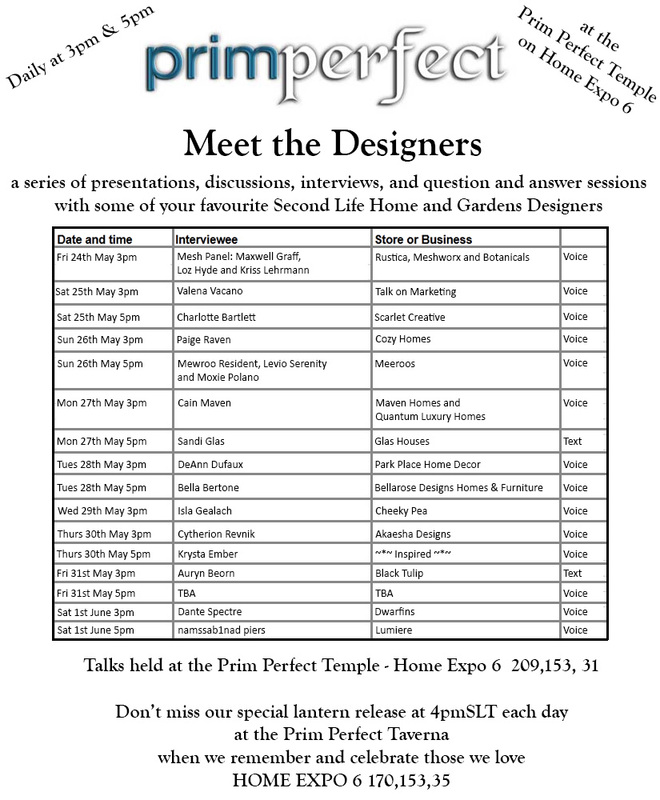 Throughout the Home and Garden Expo, Prim Perfect will be running a series of talks at the Prim Perfect Temple on Home Expo 6. You’ll see a full list of the talks at the bottom of this post. Today, Tuesday 28th May, we have two great people for the talks – DeAnn Dufaux of Park Place Home Decor and Builders Breweryat 3pm and, at 5pm, Bella Bertone of Bellarose Designs Home and Furniture! At 5pm, Bella Bertone will be talking to Cinders Vale about her store Bellarose Designs Homes & Furniture and her stunning designs. We have a full programme of talks coming up at the Expo – make sure that you don’t miss them! 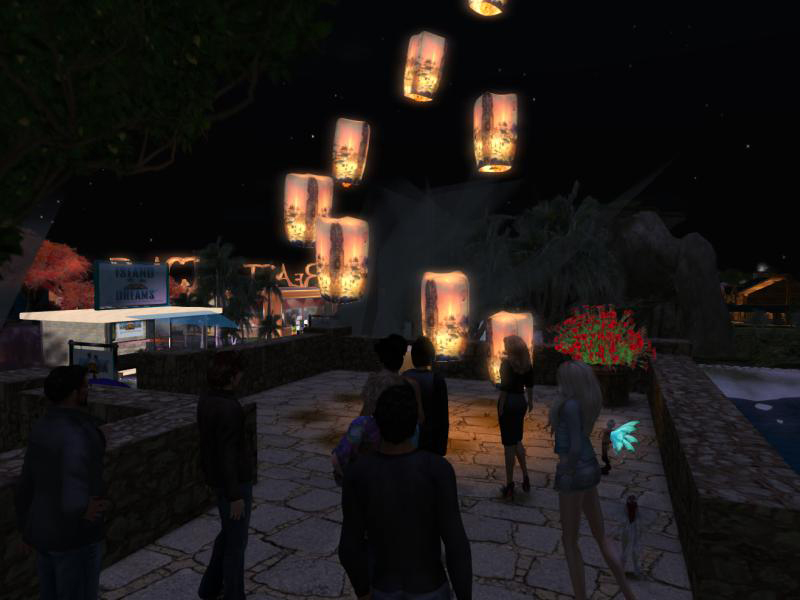 And make sure you don’t miss our daily lantern ceremony at 4pm, when we invite people to join us at the Prim Perfect platform on Home Expo 6 every day of the Expo at 4pm SLT for a communal release of lanterns both to celebrate the living and in memory of those we have loved and lost.